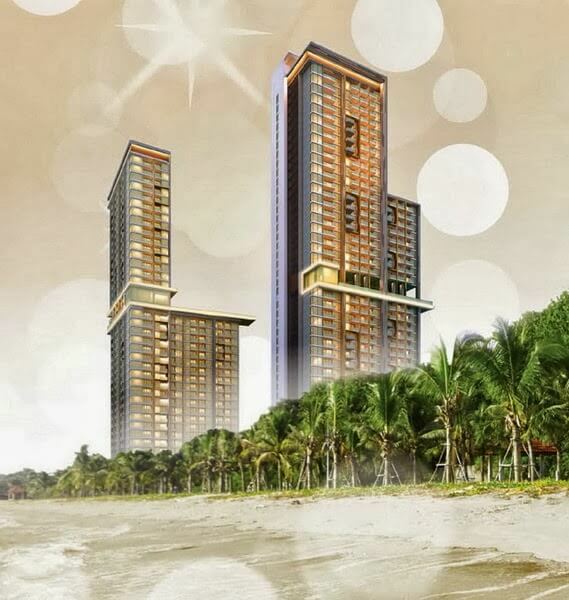 *Beachfront Living* Baan Plai Haad is the first project in Pattaya from one of Thailand’s most longest-established and respected developers, which was originally established in 1984 and listed on the Stock Exchange of Thailand in 1996. Since then, the developer has completed 158 projects around the country ranging from million baht condos up to exclusive 50-million baht villas. 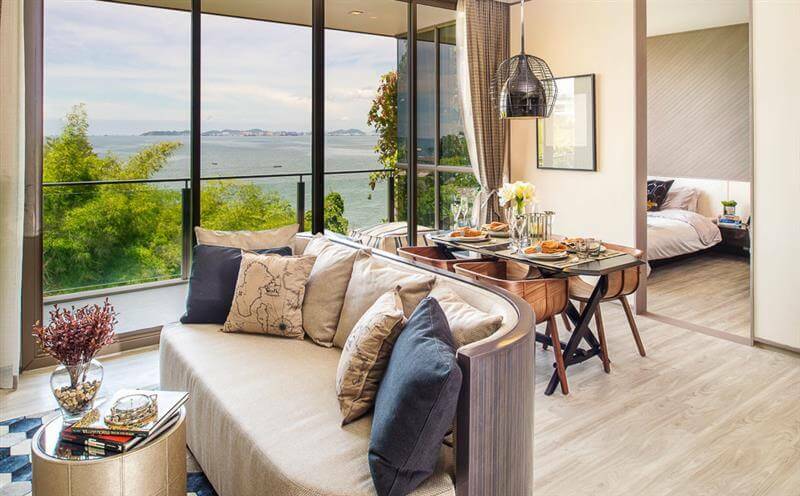 Located in Wongmat, the most exclusive part of Pattaya, Baan Plai Haad is located on a large plot which has direct access on to one of Pattaya’s most beautiful beaches. 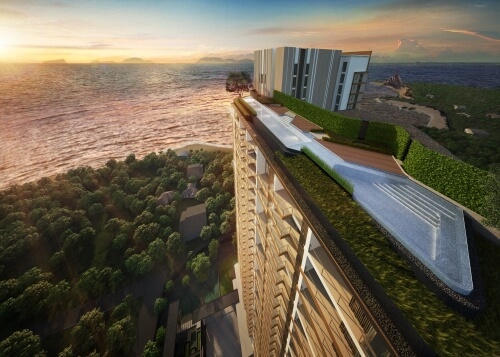 Baan Plai Haad is an elegant, 31-storey, L-shaped tower – a design which ensures that all but a handful of units have excellent sea views facing either north or west. 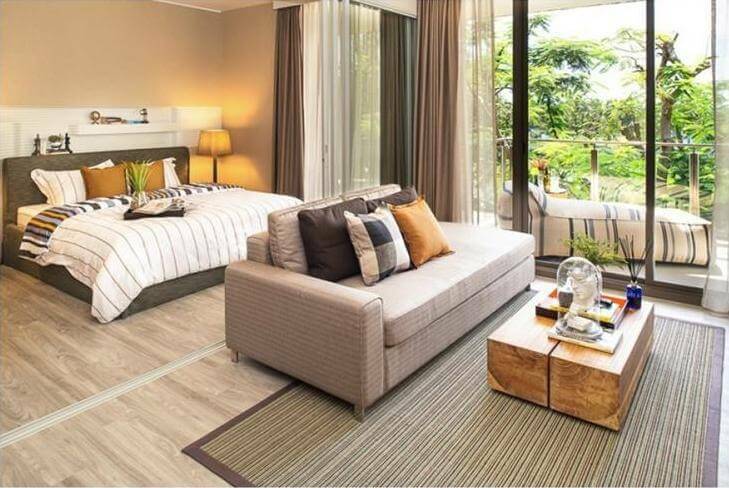 The development contains a total of 353 units ranging from 41m2 one-bedroom apartments, right up to the stunning 154m2 three-bedroom/three-bathroom duplex penthouses which top out at a price of THB 18.2 million. 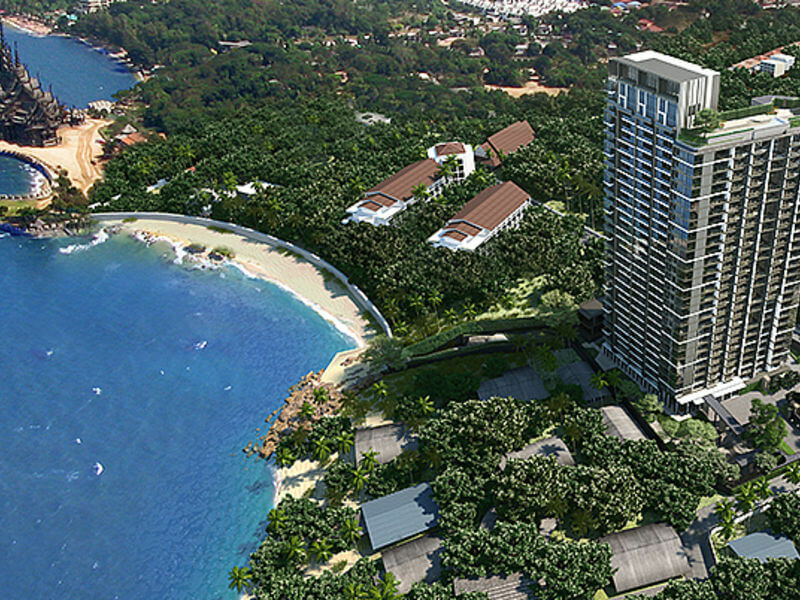 Buyers at Baan Plai Haad have extensive green areas to enjoy between the tower and the beach. 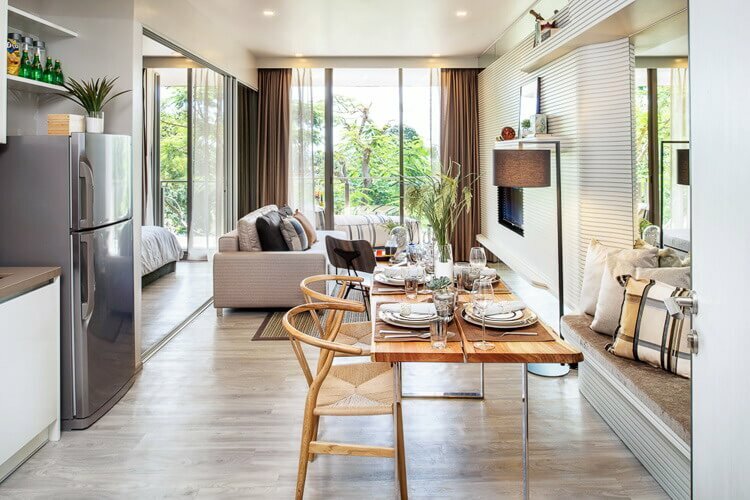 The developer is known for the elegance of the architecture and quality of their interior design, for which the company has won many awards over the past decade, so buyers can be assured that Baan Plai Haad will be a true five-star development both inside and out. 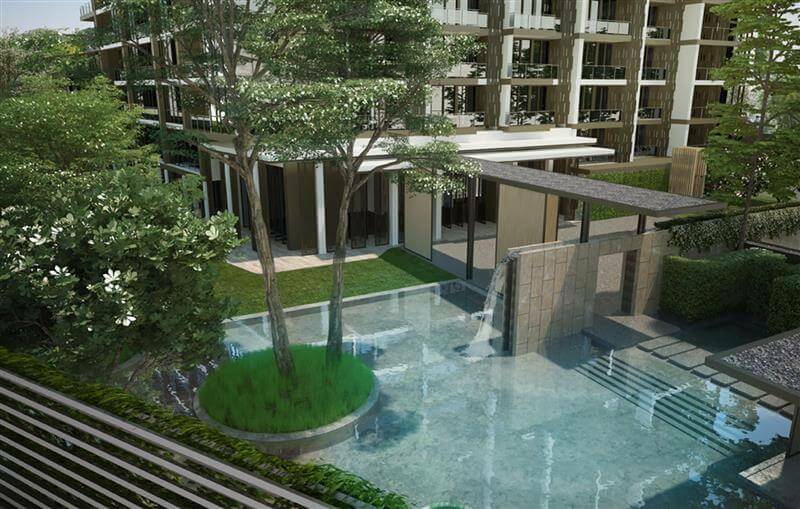 Among the many facilities available on site, buyers will have a total of three different pools to choose from, including a Jacuzzi at ground level and an infinity pool on the 30th floor, from which the views are guaranteed to be breathtaking. 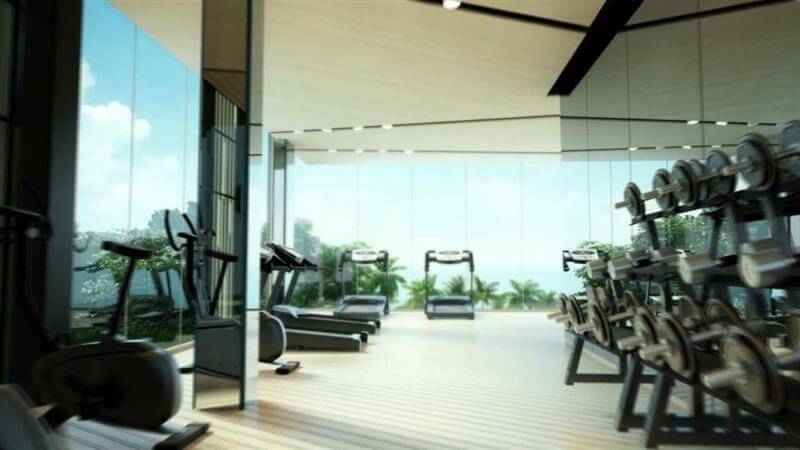 Other facilities include a fully-equipped fitness centre, complete with saunas.